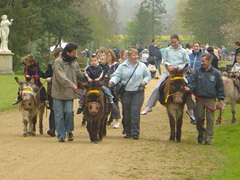 Dunton Stables offers donkeys for hire for your event, whether you are offering donkey rides or are organising a donkey derby. 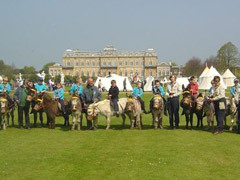 Our donkeys will make your event extra special. 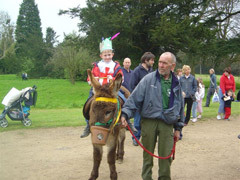 Dunton Stables donkey rides will always be a firm favourite and a great attraction at any event which involves childrens activities. Please contact Dunton Stables for further information. 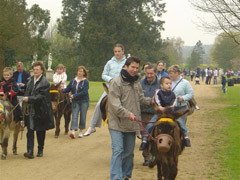 It is important to note that Dunton Stables will, under no circumstances, allow their donkeys to be exploited by overwork, therefore it is advisable to make enquiries well in advance of intended donkey riding events. Of course Dunton Stables will endeavor to accommodate all client's wishes, but the best interests of the donkeys are always our priority.